Jones, who was once a member of an all-girl punk band, joined ISIS after converting to Islam and traveling to Syria in 2013. 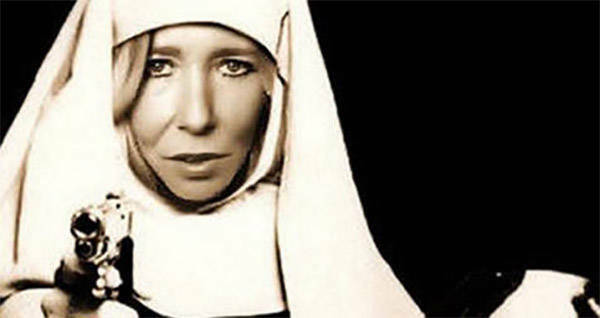 TwitterPhotoshopped image of Sally Jones she shared on her twitter. 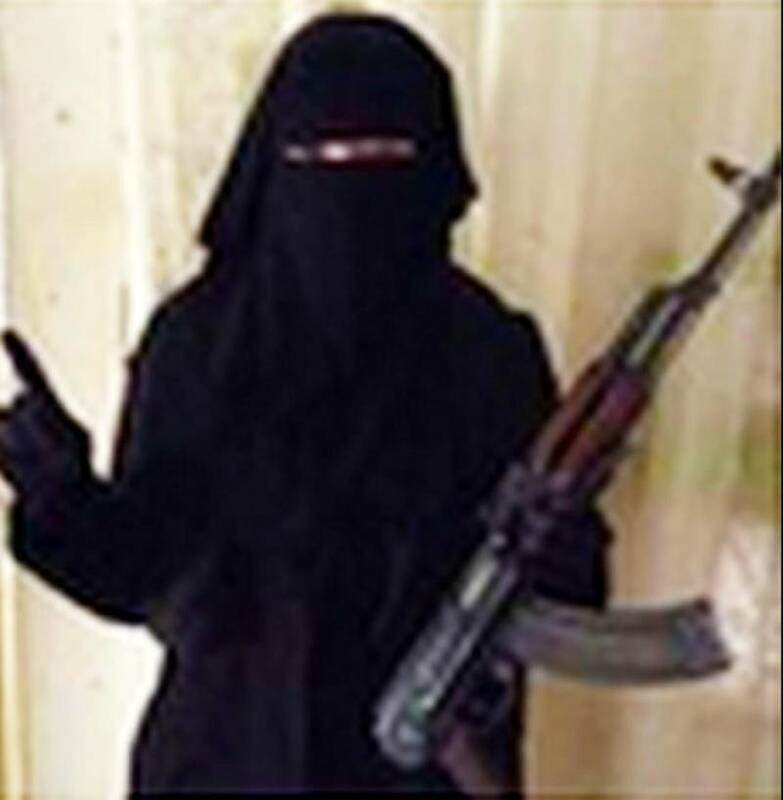 A British woman who left the UK to become a recruiter for ISIS has reportedly just been killed in Syria. The Sun reports that Sally-Anne Jones, 48, a British woman who became a recruiter for ISIS, was killed by an American drone strike this June. Reports of her death only became public earlier this week when sources in British intelligence told The Sun of the strike. Jones, who was once a member of an all-girl punk band, joined ISIS after converting to Islam and traveling to Syria in 2013 with her then-8-year-old son JoJo. In Syria, Jones married Junaid Hussain, an ISIS hacker from Birmingham, UK. In Syria, Jones continued to recruit potential ISIS members from the UK from Twitter and other social media accounts. The image of her face photoshopped onto a picture of a nun with a gun came from one of her twitter propaganda posts. The original nun with a gun image comes from the cover of a 1995 book about The Troubles in Northern Ireland. While with ISIS, Jones was tasked with training female European recruits, who she was teaching to conduct terror attacks in the West. 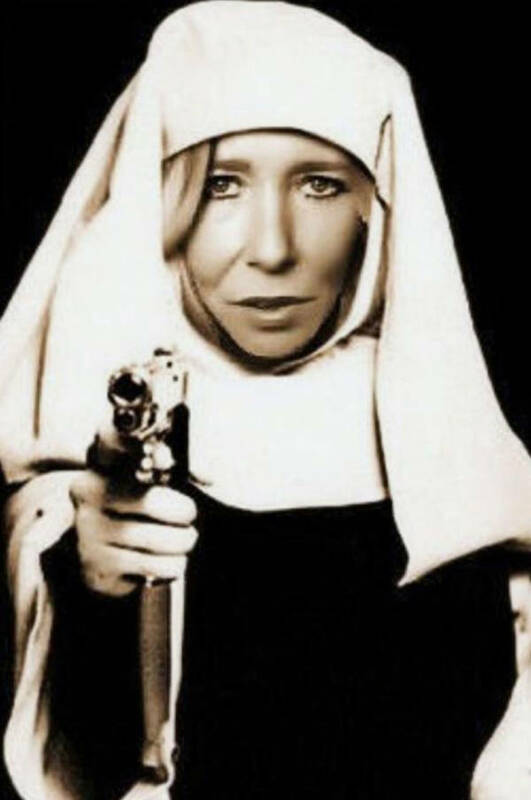 TwitterSally Jones in a niqab weilding an AK-47. In 2016 she was accused of calling on women in London, Glasgow, and Cardiff to commit terror attacks in the Muslim holy month of Ramadan. A year later, Jones was killed by an American predator drone while she was fleeing from Raqqa, and is believed to be the first woman targeted by a US drone strike. US intelligence chiefs say they cannot be 100% certain that the strike killed Jones as there was no attempt to recover any of her DNA, but officials are “confident” she was killed. Many believe that one of the reasons news of her death took so long to surface is because the strike may have also killed her now-12-year-old son. While JoJo was not targeted by the attack, the child, who appeared brandishing a gun in the background of a 2016 ISIS execution video, may have died in the drone strike. Next, learn about “Jihadi John” the British member of ISIS killed by a drone strike in 2015. Then, see the ghostly remains of Homs, Syria.